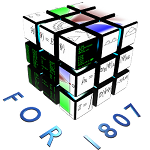 Welcome to the FOR1807 Wiki! a source of knowledge on the techniques used in our research group. The goal of this wiki is to be the one-stop solution if you want to find the resources necessary to work in the field of numerical many-particle physics. And our job is to share that knowledge.